Growing up surrounded by anti-impaired driving messages, millennials are the generation who first got behind the wheel already knowing the risks—they made impaired driving socially unacceptable. It’s time we give millennials the recognition they deserve—they’re the generation that takes impaired driving seriously. In fact, more millennials have been designated drivers than any generation. Let’s follow their lead. BCAA wants to remind British Columbians that cannabis and driving don’t mix. 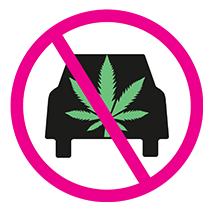 Show your support for safer roads by placing our Don’t Drive High window decal on your car, or pass it along to a friend or family member. Pick up a Don’t Drive High decal for your vehicle - available at all BCAA Service Locations and Auto Service Centres.